HomeBlogMaterialWhy Manufacturing Costs are Increasing? Why Manufacturing Costs are Increasing? Recently,the rising prices of raw materials brought great pressure to stamping industry enterprises. Compared with the beginning of 2016, PVC price 60%, plastic prices 30%, aluminum prices 30%, iron prices 30%, rose 30%. Even if it is a long-term downturn in the steel prices in 2015, every dog has his day. Monitoring data showed that steel prices rose 1.9% from Oct.31st to Nov.6th. The cumulative increase of 6.1% for 6 consecutive weeks. The price hit a new high since the beginning of May. When it reached to the highest point in November, the market price is almost two times in 2015. As steel prices rose too fast, take goods, The price adjustment of shipment were changed from the original once a half month, two times a week, into even every day to real-time updates. 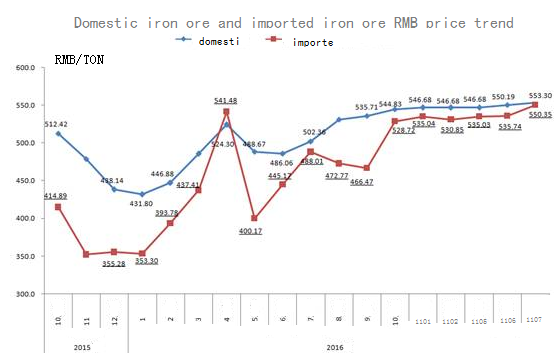 With gratifying upward trend of steel and other raw material price, The enterprises in downstream Stamping industry have not increased the price.Their downstream clients, including hardware processing factory, machinery parts factory and so on various types of enterprises, feel heavy pressure on the prices of raw materials. But they are afraid to rice in price. ” No one to buy” . The stamping industry as one of them, naturally can not escape. The provisions on the administration of highway management for over – limit transport vehicles, promulgated by the Ministry of public security and the Ministry of public security, come into force as of September 21st. It is said to be the history of the most stringent measures. According to the provisions, domestic road transport overload standard tonnage reduced since the date of implementation. The largest of the 6 axle vehicle overloading train standard from 55 tons to 49 tons, 4 axle freight overload from 40 tons of standard bicycles fell to 31 tons, a decline of up to 9 tons.But there is also the cost of the correct policy.